Choosing the lighting scheme for your bathroom could sound like an easy job but it depends on the style you want to have in your bathroom. If your home is modern and minimalistic then you should choose modern lights with straight lines and shapes along with some of LED light to get the best effect of their design. 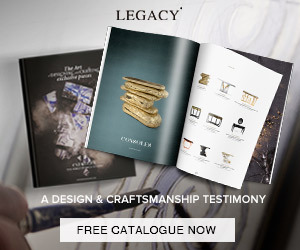 But if you are a classic type then you can put a chandelier or some classical wall lights. Industrial and rustic light schemes are perfect for spaces that are designed in modern style mixed with industrial elements. This kind of lightning can be perfect for white and bright bathrooms. 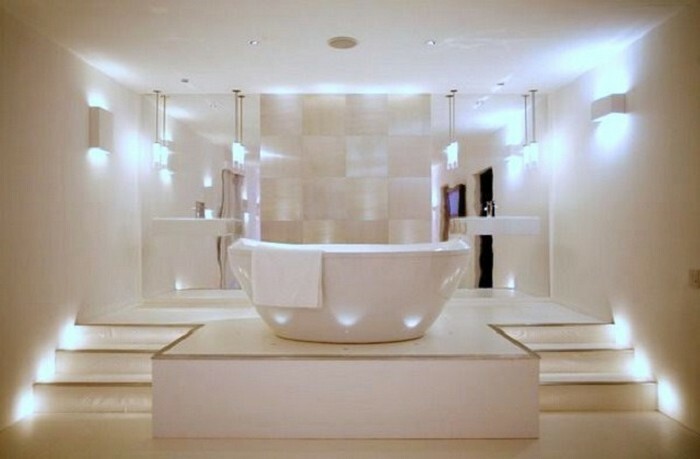 Here you can find a selection of the most amazing bathroom lighting ideas to get inspired. Take a look! 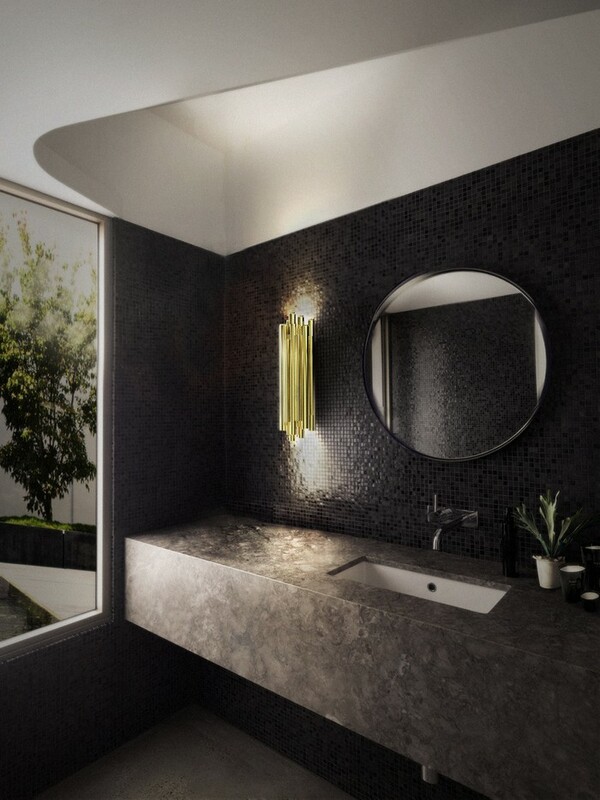 This is the ideal lighting idea for a stylish and modern bathroom. To use miror lights is not only a smart idea, but also works as a delightful decorative piece. Also you can go with the built-in bathroom lighting idea. Here these lights work as a complement of the wall lights and are smartly placed above the sinks for better lighting in the mirror area. If you want a delightful lighting system in your bathroom you have to combine different kind os lights, carefully thought. If you have a large wellness bathroom, you can also resort to lighting fantasies, such as pendant lamps combined with small ceiling lamps and wall lights in simple shapes. This lighting system is very exclusive but it is perfect idea if you want a delightful relaxing bathroom atmosphere. This is the perfect bathroom lighting idea for a more classic design. If you have a tub area for those relaxing moments you can add a classic chandelier above to create an even more calm and delightful atmosphere. 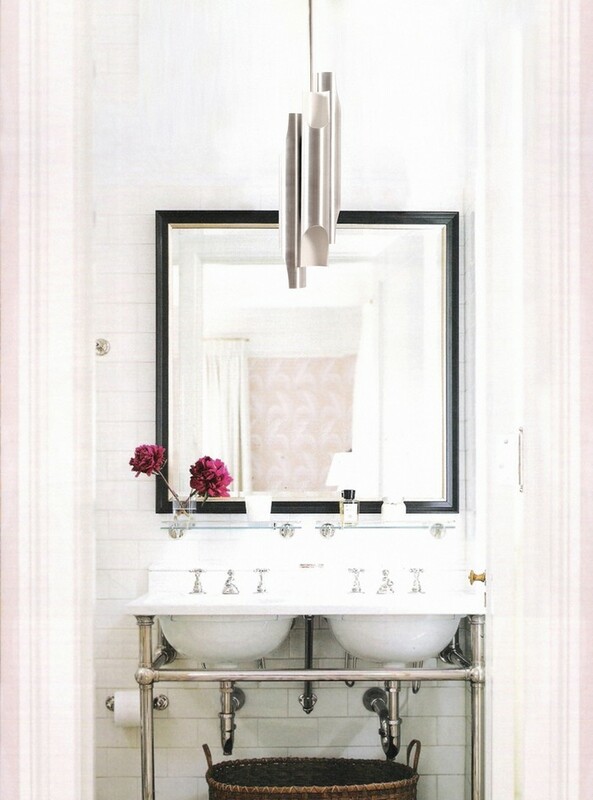 And in a classic luxury bathroom design the chandelier works as part of the decoration too. 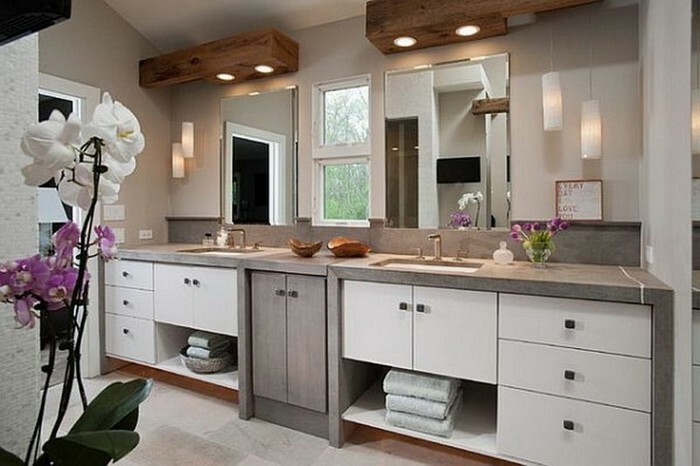 A modern and minimalistic bathroom asks for a perfect light to go with it. 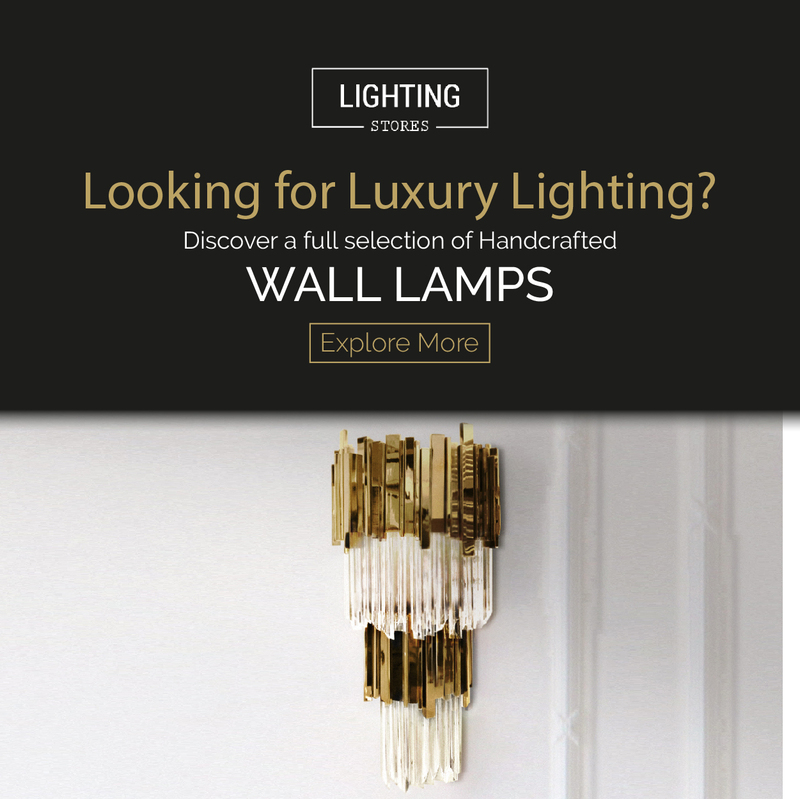 And this amazing golden wall light is the ideal piece for a modern bathroom that works both as a mirror lamp and a delightful decorative piece. 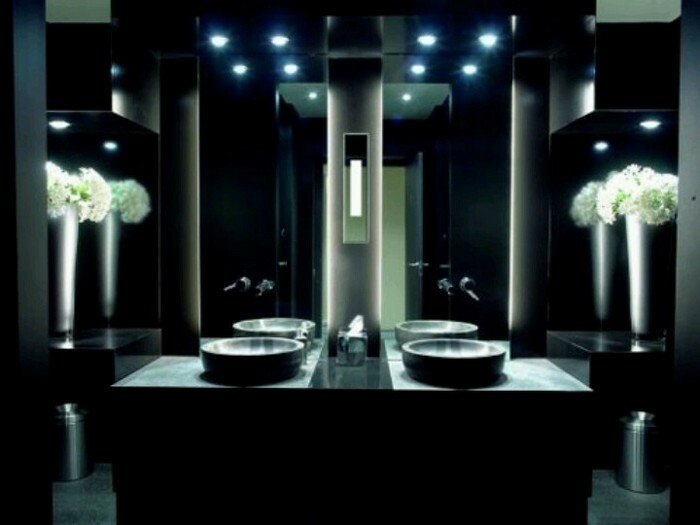 This is another lighting idea for a modern and minimalistic bathroom design. If you don’t want to use the classic mirror light you can put a modern ceiling light that works also as a decorative piece. And in this amazing bright bathroom this industrial silver ceiling light looks just delightful. In a modern bathrom where there is a tub area you can also use a modern chandelier. If so you are not onlu lighting up the tub area but also creating a relaxing and delightful atmosphere in you modern bathroom.